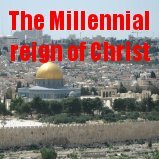 Christians have been anticipating the coming of their Lord for almost two thousand years. Right from the early church age the coming of our Saviour would have been at any moment and it still will be at any moment. 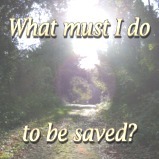 But Christians also have some duties and the commandment of their Saviour to follow. We should be watching for the Saviour and at the same time be a witness to the world about God's plan of salvation for mankind. The world needs to hear the message of the Gospel like never before. Those Christians who are part of the world and enjoying the pleasures of life and not glorifying God will be ashamed at His appearing. The world is enticing but blessed are the servants of Jesus Christ who are always watchful and doing the work of their Lord. Look up for our redemption is drawing near. Praise God!